Yoshiaki Wada, the Liberal Democratic Party-backed candidate, secured a seat in a Hokkaido by-election Sunday in what is seen as giving a boost to Prime Minister Shinzo Abe’s party in the upcoming Upper House election, after defeating the Democratic Party’s candidate in a close race. In another by-election in Kyoto, Kenta Izumi, backed by the Democratic Party, won the race, beating Natsue Mori and another candidate, Yukiko Ono, who was backed by the conservative Party for Japanese Kokoro. The voter turnout rate for the Hokkaido poll came to 57.63 percent while that for Kyoto stood at 30.12 percent. “I received support from many people across various parties. I will try to gain back the trust toward politics lost in the Kyoto No. 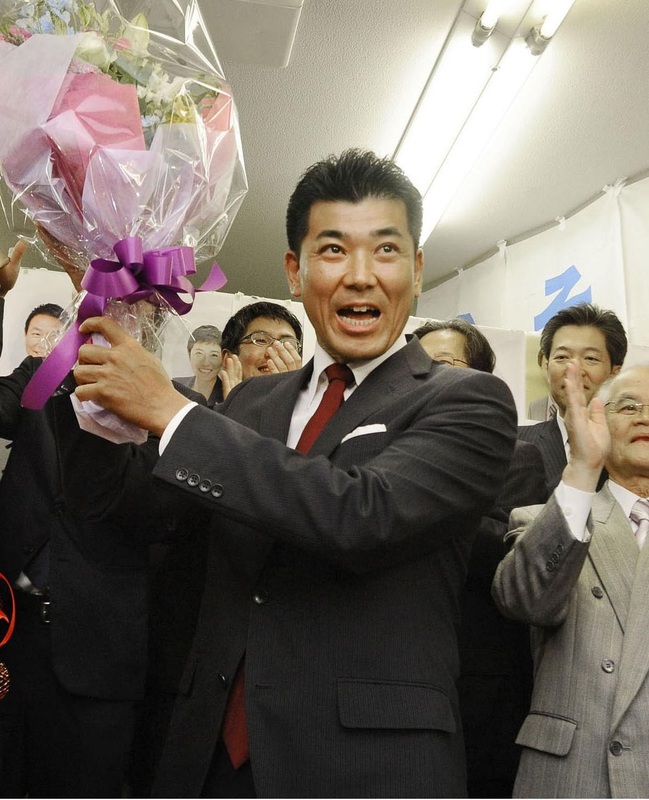 3 district,” Izumi told supporters at his office in Kyoto. It was the first contest for Diet seats since the general election in December 2014 with the ruling and opposition camps in a showdown in the Hokkaido No. 5 single-seat constituency. Observers say the results of the by-elections, especially the one in Hokkaido, will be a barometer of public support for Abenomics, the growth policy Abe promoted to beat deflation, and for changes to national security policy, including the enforcement last month of new national security laws enabling Japan to engage in collective self-defense. The Hokkaido by-election was held to fill a seat vacated by the ruling Liberal Democratic Party’s Nobutaka Machimura, a former Lower House speaker who died last year. 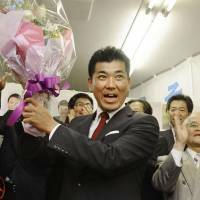 Wada, Machimura’s 44-year-old son-in-law, beat Maki Ikeda, 43, an independent backed by the Democratic Party and three other opposition parties. According to a recent opinion poll by Kyodo News, voters were mostly interested in foreign and security issues. Welfare and child-rearing issues came second. Along with the DP, the Japanese Communist Party, the Social Democratic Party and the People’s Life Party backed Ikeda and called for scrapping the divisive security laws. Wada was backed by Komeito, the LDP’s coalition partner, and the opposition Party for Japanese Kokoro. The by-election in Kyoto was held to fill the seat relinquished by former LDP lawmaker Kensuke Miyazaki in February after his extramarital affairs came to light. Due to public criticism of the scandal, the LDP decided not to field a candidate. Miyazaki, who had vowed to become the first lawmaker in Japan to take paternity leave, resigned from the powerful lower chamber after admitting to having an affair with a woman while his wife, a fellow LDP lawmaker, was about to give birth. Izumi lost to Miyazaki in the December 2014 general election but nonetheless gained a Lower House seat through the proportional representation system. At present, the LDP-Komeito coalition controls a majority of the 242-member Upper House and more than two-thirds of the more powerful, 475-member Lower House.